Guess who's back in jail? 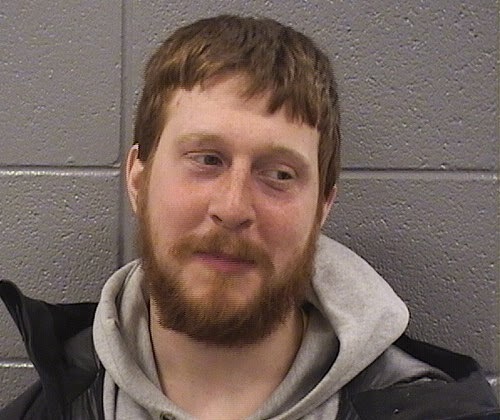 One of Wrigleyville and Boystown's most annoying pests—Ryan Brandis—is locked up, charged with attempting to steal bikes from a rack at Belmont and Clark in broad daylight. Brandis, 27, is charged with theft after a group of witnesses intervened and detained him until cops arrived at 3:25PM on February 28. He's being held on $25,000 bond. We first wrote about Brandis in November 2013, telling the story of how he arrived in our neighborhood from downstate Streator, set up residence at the Broadway Youth Center, and then promptly set out to raise hell. In 2007, Brandis received a 3-year sentence in his native LaSalle County, also for burglary.